For two decades, the Tom Petty Theory — that he’d never make an album that I wouldn’t like — that I came up with way back in 1981 held true and strong. Until The Last DJ that is, a record that completely repelled me from almost the first listen, and a record that I wrote off after trying to find a way in. I mean, I was never going to care about what zillion-selling Tom Petty felt about the record industry as it tumbled into the new millennium , but what struck me was that I didn’t really like any of the songs musically, either. For the most part, they felt like song fragments looking for a way to cohere. Obviously, in the light of his death, I of course went back to The Last DJ just to see if I’d been sleeping on any good Petty songs for 15 years, and while I clearly underrated The Last DJ, it just doesn’t work for me as an album. Even the better songs, like “Dreamville” and “Lost Children,” belong in the lower reaches of his canon. A big grand slice of thin wild mercury music, “Have Love Will Travel” has a Mike Campbell guitar hook holding it together against Benmont Tench’s careening organ and a massive pre-chorus. 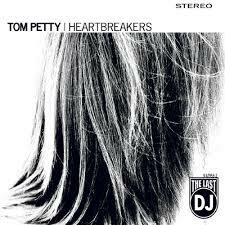 And while Petty mentions characters from earlier songs on the record, and has lines in the song about DJs, rock bands, and even a “Free Falling” callback, “Have Love Will Travel” stands on its own as just another fantastic Tom Petty song, regardless of the context.